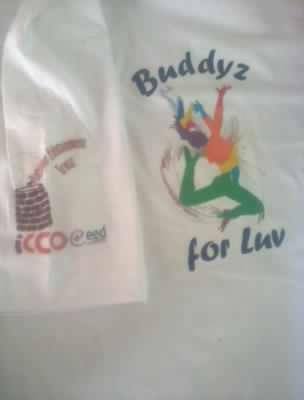 Bulawayo’s outstanding theatre outfit Bambelela arts ensemble yesterday started the Buddyz 4 luv program. Buddyz 4 Luv Program is a Patsime Trust’s initiative that uses various forms of Theatre and Arts as a linchpin to innovative complementary approaches for participatory communication for social transformation with a thematic focus on HIV and AIDS and its various cross cutting issues. Since its inception in 2002, through time and lived experiences Patsime has developed cutting edge expertise in using theatre and the arts to address HIV and AIDS issues expanding its activities beyond just the production of live and recorded edutainment programming to include capacity building programmes along with various partners who are employing similar strategies, which gave birth to its partnership with Bambelela Arts Ensemble to cover Bulawayo Metropolitan as a way of multiplying the efforts in reducing risky behaviour and combating HIV and Aids. The program runs during the first and second terms of the school calenders, targeting to reach out to 20 educational institutions per term, per province. On record Buddyz for Luv Project reaches up to 36 000 young boys and girls in 120 educational institutions in six provinces in Zimbabwe, with Bulawayo alone reaching an average of 11 00 last term. Bambelela Arts Ensemble Director Witness Tavarwisa promised fireworks in this terms program and added that it will bring a difference in our communities. The Theatre Ensemble which recently premired their new theatre play The civil servant by Thabani H Moyo. The group has so many success stories in the theatre business.